Here you can find FAQs that will help you better understand the process of naturalization and other general questions. What can I do if I qualify to become an American Citizen but cannot afford the fees? You might qualify for a fee waiver or a reduction of your application fees. You can find instructions on how fill out the form to Request a Fee Waiver (form I-912) by clicking here and you can find instructions on how to fill out the Request for Reduced Fee (form I-942) if you click here. If you have further questions regarding this form, please contact the LA County Office of Immigrant Affairs at 800.593.8222 in order to provide you with other resources that might be available. You can find the HHS Poverty Guideline for Fee Waiver Request by clicking here. Can someone help me fill out my citizenship application? Please call the Los Angeles County Office of Immigrant Affairs at 800.593.8222 to provide you with more information about classes and workshops available close to you. What else should I mail with my application packet? USCIS has a document checklist that you can access by clicking here. You can check your case status online on the USCIS website. You will need your receipt number in order to check your case status. You can also sign up for a myUSCIS account that is free and allows you to see your entire case history. If you are unable to find information in case status, you may also be able to submit an online inquiry about your case. Or, you can call Customer Service at 1-800-375-5283 for more information. See “After You File” at uscis.gov/tools for more details about what services are available after you file. How can I prepare for the Civics test? The LA County Library holds Citizenship Classes to help you study for the civics exam. You can find more information about an event happening near you by clicking here. If you prefer to study at home, at your own pace. You can find the English and Civics test by clicking here. You can access the USCIS test practice website by clicking here. USCIS also has a Civics Test Study Tools app that can be downloaded on your smart phone. It is available for download on the App Store and Google Play. What happens if I fail the English or Civics test? You have two chances to take the English and civics tests for each application. If you do not pass any part of the test during your first interview, you can take that part of the test again between 60 and 90 days from when you were first interviewed. For more information see the USCIS Policy Manual. I paid someone to help me fill out my citizenship application but that person never actually filed anything or seems to have made mistakes, what can I do? If the person you paid is an attorney, you can file a complaint with The State Bar of California by clicking here. 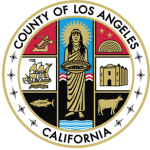 If the person is not an attorney, the County of Los Angeles Department of Consumer and Business Affairs can take a complaint regarding this type of issue. You can file a complaint by clicking here. If this person made mistakes and you have received a denial letter from USCIS, please contact the Office of Immigrant Affairs at 800.593.8222 to provide you with more information about legal resources that may be available to help you.